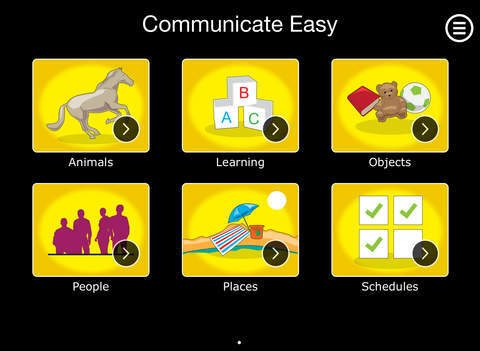 Communicate Easy is a solid, flexible app that provides visual prompts, picture / sound / video cards for choice making, schedules and stories. 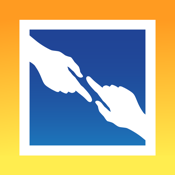 The app is a picture communication system targeted to helping individuals with Autism / ASD, Aspergers, ADHD, ADD, FG syndrome and other special needs conditions and can be used in numerous ways. The app is also beneficial to other young children. 1 on 1: Communicate Easy is a preview of the full version allows you to create a limited set of folders and cards. Communicate Easy has appeared on national TV3 News and has featured in the "Computer World" magazine. "The Communicate Easy app is an excellent programme for those with autism and significant language problems and I urge parents and teachers to seriously consider downloading the app for the children they love and support." 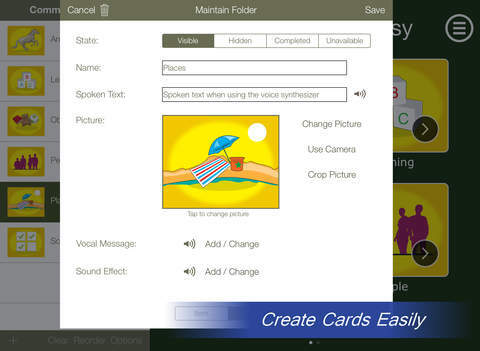 - Create folders to contain a group of cards and more folders. - Create multiple libraries for more individuals. - Change the order of cards as desired. - Ability to create a list of tasks you want an individual to complete. - Ability to hide tasks when not applicable for a particular instance. - Ability to tick the items on completion. - Use the library to show visual prompts to indicate "what is happening next". - Present a selection of items to an individual to choose from - with the ability to hide or make items visibly unavailable. - Change card states to quickly restrict choices. - Easy to use interface for the targeted individuals and tested with my own autistic son. - Backup and restore functionality. - Modes to minimize risk of data getting overwritten mistakenly. - Card state manager to quickly apply restrict choices / hide cards. - Lock down options and hidden gestures to prevent individuals from navigating away from making a choice or following a schedule. The app comes with some example libraries, including numbers, letters, colors + 3 schedules - getting dressed (boys), getting dressed (girls) and toilet training.